At RainSoft, we use home water testing to identify any possible impurities in your water long before we do any other work. 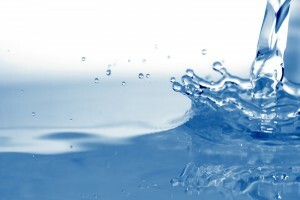 This allows us to recommend water treatment solutions that will address your specific needs. Unlike other companies that may want to sell you a variety of purification systems, some of which your home’s water supply may not require, at RainSoft we will take the time to discover what systems you actually need. When you contact us, we’ll schedule a complimentary in-home water test with one of our highly trained water quality experts, who will perform a battery of tests to determine which impurities are present in your home’s water and in what concentration. Using these data, our expert will then be able to recommend the system or systems best suited to addressing any impurities found in your water supply. Whole house water filtration systems – These “problem-solving” filters treat the water in your entire home, and address specific contaminants such as chloramines, iron, manganese, sediment, and volatile organic compounds. Drinking water systems – These systems remove any unwanted minerals or dissolved particles that might cause unpleasant tastes or odors in your tap water. Water softeners – If our home water testing reveals that you have hard water, we’ll likely recommend our water softener systems. These systems remove the bicarbonate ions that cause hard water and eliminate its many unfortunate side effects, including water spots on dishes and glassware, chalky buildup on sinks and drains, and hair and skin that feels filmy after bathing. No matter which system is the best match for your home water testing results, you can count on all of them to provide long-lasting performance. Every one of our products is independently Tested and Certified by the Water Quality Association to ensure that it will function exactly as advertised and maintain its exceptional performance for years to come. To learn more about our home water treatment systems, or to schedule your complimentary home water testing appointment, contact your local authorized RainSoft dealer today.